Just like 2017 arranging the Events for 2018 has been another challenge for our Public Relations Officer Stan Reffin. Trying to liaise with other clubs and incorporate all the requests from our members has been hard work but as usual he has managed and this year looks like being another good one. A quick look at the lists will show many and varied events and there should be something for anybody who is interested in model boats and also Tanks and Military Machines. 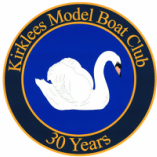 March Hare sail race 10.30 start club members only - any yacht up to 31"
Blue Ribband sail race 10.30 Start Club Members only - any Yacht up to 31"
President's cup sail race 10.30 club members only - any Yacht up to 31"
​STEAM DAY will be supervised by Richard Simpson but at the present time we are unable to give a date. However as soon as we know it, we will confirm the date to everyone. Club 500s will be supervised by Officers of the Day. All club 500s must display a number. 7th to the 9th ?